iPhone security and convenience have both been greatly enhanced by Apple's iOS 8, giving third-party developers the ability for the first time to utilize the secure Touch ID fingerprint sensor. 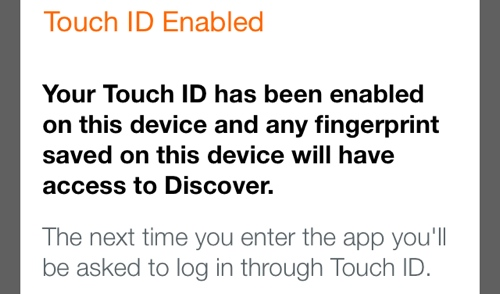 In order to take advantage of the new system-wide Touch ID capabilities in iOS 8, users don't need to do much of anything. In fact, it's developers who must update their software to take advantage of the new tools in iOS 8. A handful of compatible apps secured by Touch ID are already available on the App Store, and undoubtedly many more will continue to populate Apple's digital download destination in the days and weeks to come as developers update their software. 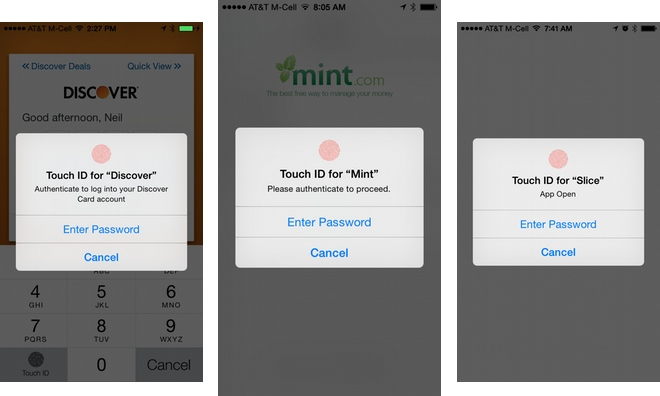 From our early tests, some applications require users to enable a passcode or Touch ID support in the settings. Others, however, work by default and seek a fingerprint scan automatically once updated through the App Store. Apple has kept Touch ID secure by not providing apps access to any of the fingerprint data stored on an iPhone's secure enclave. The prompt that appears is the same as the one Apple already uses to authorize iTunes and App Store purchases. Users also have the option of bypassing the fingerprint scan and entering their lock screen password if they so choose. Because the fingerprint data is not actually shared with the app, there is no centralized list in the iOS 8 Settings application of software that supports Touch ID security. In the "Touch ID & Passcode" section of Settings, users can only control Touch ID access for iPhone unlocking and iTunes and App Store purchases, leaving individual third-party apps to offer their own Touch ID settings to users. In addition, Touch ID remains limited to five saved finger scans in iOS 8. Users can enhance security by disabling a simple passcode in Settings, and can also disable access to lockscreen features such as Siri and Passbook. All this is to say that there is no enhanced customization available to developers who tap into Touch ID: Any of the five authorized fingerprints stored in an iPhone's secure enclave can be used to authorize access to an app. There are no fingerprint combination options, or the ability to add any more or unique prints. Touch ID is currently only available on the iPhone 5s, but it will also be included with the iPhone 6 and iPhone 6 Plus when they become available this Friday.